Call 847 840-3388 to schedule a free consultation. Better Auto Buying is a personalized consulting service founded by Gary Eisenstein to help consumers buy or lease any brand of new or used vehicle with the utmost confidence and ease. Formerly a new car dealer for over 30 years, Gary now works exclusively for consumers as their personal advisor, advocate and negotiator for a flat fee. Gary's extensive experience, resources and knowledge of the auto sales industry provide his clients with many unique advantages and truly exceptional results. If you're like most people who hate the car buying process, but want the most for your money, this service is for you! You'll receive expert guidance, a stress free experience and unparalleled savings. Discover the peace of mind that comes from buying confidently with Better Auto Buying on your side! Enjoy the entire Better Auto Buying experience! Buy or lease the new or used vehicle you want with the utmost confidence and ease. 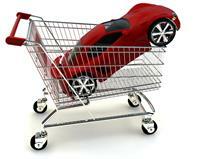 Receive helpful expert advice in selecting an ideal vehicle. Clients enjoy unparalleled savings and truly exceptional results. Save time and money without the stress.